There are only 3 types of Lawn Sprinkler heads. The main function for them is to water Lawn and vegetation. 2. Gear-Driven Rotors: have one stream and move back and forth covering a bigger lawn area. They spray from 20’-50’ and can be customized to spray in any given pattern. They can spin all the way up to 360 degrees. 3. Impact Rotors: have one stream coming out and move in a circle. The main benefit of an impact rotor is that it can take on dirty irrigation water with a lower chance of breaking and plugging up. They are less efficient and use more water, but use basic technology that makes them last much longer. Happy Fourth of July from Sprinkler Master! Happy 4th of July from Sprinkler Master! We are proud to live in a free country, and thank those who serve to protect that right. 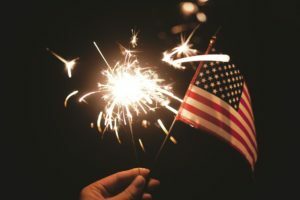 If you notice dry spots in your lawn while you’re watching fireworks this fourth of July, don’t hesitate to give the masters a call! We can get your lawn to its green self in no time! 1) Q. 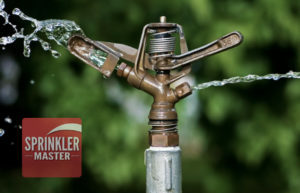 When to Winterize your sprinkler system? The first week of October is a great time in Northern United States to shut of the sprinkler system to prevent damage. When soil temperatures reach around 40°f – 50°f, lawns will begin going into dormancy. Lawns will start going a greenish yellow and will stay that way till spring. According to Central sod farms (1), Inc. the lawn/grass does this to preserve energy. 2) Q. Why Winterize my lawn Sprinklers? Every sprinkler system needs to be winterized. 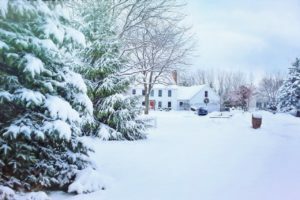 Getting your lawn sprinkler system winterized for the cold weather in the Northern United States is crucial for keeping your lawn irrigation system ready for spring and summer next year. This will help with costs of sprinkler repair. 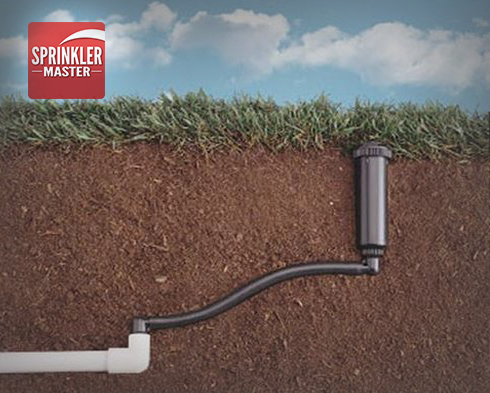 To winterize the water must be blown out of your lawn sprinkler system to prevent freezing. When water is expanded by 10% as it freezes this energy has to go somewhere and it will crack the hardest of materials. Ice will break any part on a sprinkler system including steel pipes and backflow devices, causing a lot of damage and costing money in the spring for sprinkler repair work. Water can move a 10-15 ton of rocks and a 3 inch solid steel ship hull when frozen. Your sprinkler system has no chance with this amount of power (2). That is why you need to remove water in your lawn sprinkler system in the Northern United States. Here at Sprinkler Master in the Northern United States we are professional sprinkler technicians. All we do is repair sprinklers, and the majority of sprinkler repair is caused by sprinklers not being winterized, or not doing it properly. Can you do it yourself or have a friend do it? Yes, with the proper tools, and knowledge. The majority of sprinkler repair in the Northern United States comes from sprinkler systems not being blown out correctly. The major key when winterizing a sprinkler system is having a large volume of air go through the system. To do this the common person needs to rent an air compressor for around the same price as Sprinkler Master charges to come do it for you. We are licensed, insured and backup our work. Most sprinkler systems cost around $60 to winterize. Can I use my home or small air compressor? When people use their small air compressor almost always it does not work and will take most of your day up. You need around 80-100 cfm (3), an average residential air compressor does 2 cfm. Blowing it out with a small compressor is taking a big risk(4). To blowout your system it does not matter if your air compress goes up to 100-200 psi you will need air volume and psi to push all the water out of the sprinkler pipes (5). Aerating Your Soil Oxygenating the soil will give your grass access to many more nutrients. 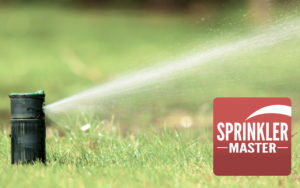 Sprinkler Master Repair’s sprinkler technicians offer lawn aeration services. Using specialized equipment, such as a lawn aerator, they will oxygenate the soil beneath your lawn and make certain that it will be ready for a healthy, green spring. Controlling the Weeds Weeds are like parasites, stealing food and energy away from your lawn. Getting rid of the weeds will give your grass priority when it comes to receiving the best moisture and nutrients the environment has to offer. Fertilizing the Grass Fertilizer is jam-packed with everything your lawn could ever want. By fertilizing your grass prior to winter, you’ll be giving your grass enough stored energy to make it through winter with nutrients to spare. Fixing Dry/Bald Spots Why wait until spring to find out that a bald spot has been hiding beneath the snow all winter? Fixing bald spots in the fall means that your spring lawn will be lush and fill, rather than spotty and ragged. Click here to learn more about identifying and fixing dry spots in your yard! Mowing your Lawn Towards the end of the autumn season, set the blade on your mower to its lowest setting in order to cut the grass very short. This will allow more sunlight to be absorbed by the grass, as well as lessening the amount of dead, brown grass in your lawn in the spring. Raking the Leaves Fallen leaves for a barrier between your lawn and the water, sunlight, and nutrients that it needs to thrive through the winter weather. Raking the leaves and keeping your lawn clear is the best form of prevention. 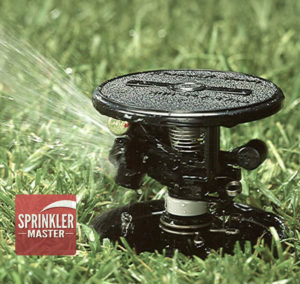 Finally, don’t forget to call Sprinkler Master Repair for your lawn sprinkler winterization needs! We perform various winterization and blowout services for your sprinkler system, so give us a call today to schedule an appointment with our expert sprinkler technicians. CLICK HERE to find a location near you! LAWN SPRINKLER REPAIR and sprinkler Winterization/blowouts.